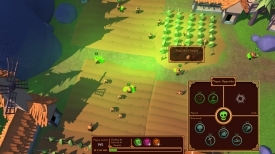 "A promising and really good looking game about spreading the plague!" Epidemic: Plagues and Prayers is a kind of simulation game in the vein of Sim City or Civilization however unlike building something from the ground up as you do in those games you must try to rid the whole population by spreading a plague to as many villagers as possible and killing them off once they have all been infected! 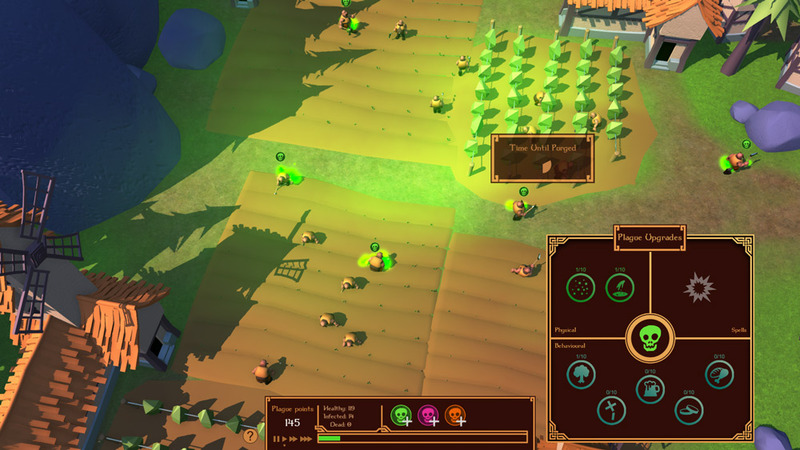 The game is still in its development stages and you are warned at the beginning that there may be some bugs and to be fair although it’s overall a simple game with not too many possible actions at first with absolutely no kind of tutorial it’s quite hard to get to grips with and to find out exactly how you can win or lose. 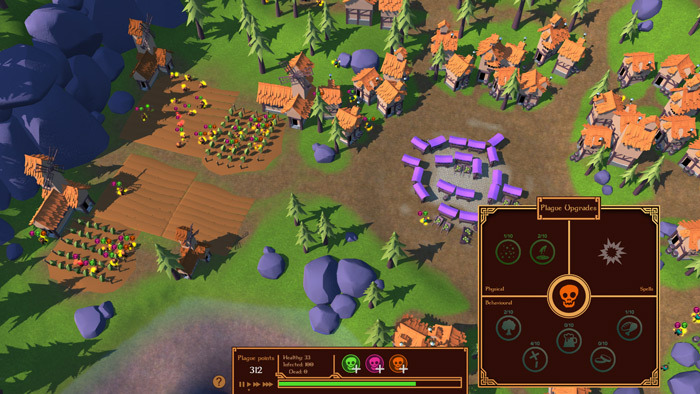 To win the game you must try to kill off the entire population of the village however if you do this too early you may set yourself back as killing people before the whole population has been infected will cost you points which you earn by infecting people and these can be used to buy special items which will help you to spread the disease quicker. Epidemic: Plagues and Prayers looks really good and there is some nice touches like if you use the mouse wheel to zoom in on the people you can hear them chatting away and making noises as they go about their business, also when you explode everyone at the end it’s very funny! Although still in development with a few tweaks this shows a lot of promise to turn out to be a different and very enjoyable game. You can download this early version of Epidemic: Plagues and Prayers here for free.